17. December 2015 05:43If you are not using ezAccounting payroll feature, you do not need to roll back to the previous version. If you have completed 2016 paychecks, you do not need to roll back to the previous version. you can use ezAccounting 2017 to print W2 and 940 forms. If you have NOT completed 2016 paychecks, you can try the following steps to roll back to ezPaycheck 2016 version. Your data should be safe during this process. However, we always suggest customers backup data first. ezAccounting 2017 installation package will update tax rate. You should run it after you completed ALL the paychecks for Year 2016. With ezAccounting 2017, you can still access your 2016 paychecks, view reports and print 2016 W2 forms. If you are not using ezAccounting payroll feature, you do not need to roll back to the previous version. If you have completed 2015 paychecks, you do not need to roll back to the previous version. you can use ezPaycheck 2016 to print W2 and 940 forms. If you have NOT completed 2015 paychecks, you can try the following steps to roll back to ezPaycheck 2015 version. ezAccounting 2016 installation package will update tax rate. You should run it after you completed ALL the paychecks for Year 2015. 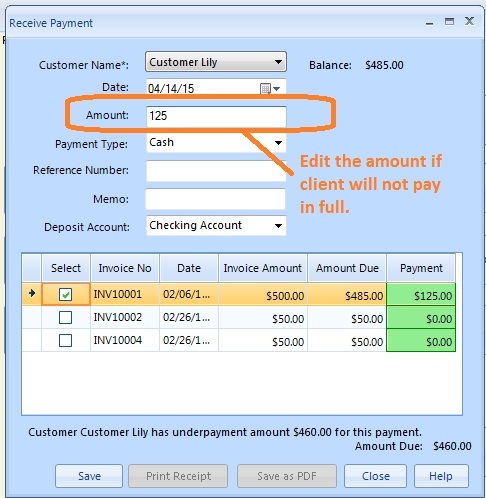 With ezAccounting 2016, you can still access your 2015 paychecks, view reports and print 2015 W2 forms. The new edition of ezAccounting software is available to support paid time leave feature. CA customers who need to use payroll feature should download this new version. This update is optional for customers in other states. From July 1, 2015, California employers are required to provide paid sick leave for all eligible employees. Note: Your data should be safe. However, we always suggest you back your database first! 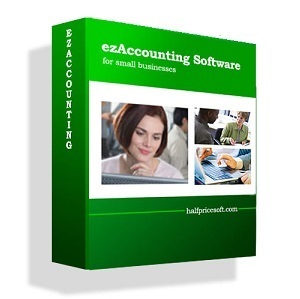 - Start ezAccounting software and you will see control panel main screen. - The AMOUNT field is default to the current balance. You can enter a different amount if you need to add deposit or partial payment. Customers can generate an invoice quickly by clicking "Add Invoice" Shortcut button. You can paper print the invoice or PDF print the invoice. Sometime an employer needs to withhold Student loan an employee's paycheck each pay period. ezPaycheck payroll software comes with the flexible features and can support this garnishment deduction. Customer can add a new custom deduction field easily for wage garnishment. 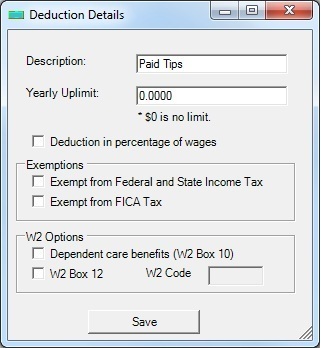 You can deduct it from ezPaycheck automatically by the fixed amount or by percent. - Additional Medicare Tax Withholding: In addition to withholding Medicare tax at 1.45%, employer must withhold a 0.9% Additional Medicare Tax from wages employer pays to an employee in excess of $200,000 in a calendar year. 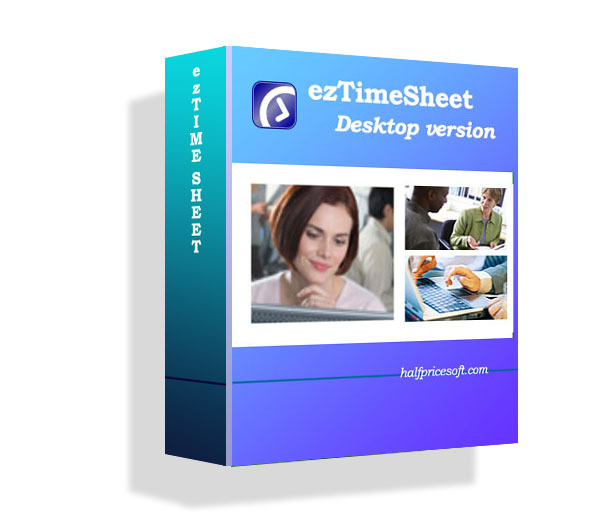 This new version is free for current ezPaycheck 2013 users. New users can download and ezPaycheck payroll program for 30 day free at http://www.halfpricesoft.com/payroll_software_download.asp with no credit carded needed and no obligation. Step 1: Set up the first company account for W-2 employees. Step 2: Set up the second company account for 1099 contractors. Click the ezPaycheck top menu “Company->Duplicate current account” to duplicate current account to handle paychecks for 1099 contractor. You can switch the current account easily by click the top menu “Company->Select Company”. When you add a contractor, you need to uncheck all the tax options. Then ezPaycheck will not withhold taxes from the paychecks. If you don't like to add the second company account to handle 1099 contractors, you can also use the MICS check function to write checks for 1099 contractors quickly. You can click the left menu "Checks->MICS Checks". Click the "Add new check" button, enter the "Payee Name" and "Amount", then save this check by clicking the "SAVE" button. A lof of users asked if they could start ezPaycheck in mid-year. The answer is YES. You can start to use ezPaycheck payroll software any time in a year. - or you can use the YTD manually input feature to enter the previous summary payroll data quickly. Learn more on YTD feature here..
Then ezPaycheck will have all your payroll data. So it can generate the correct reports for you. How to enter YTD payroll data? YTD means Year-to-date. It is a period from the beginning of the current year, and continues up to the present day. The YTD information on the check stubs will update automatically each time you add a new paycheck. For example, company ABC handles paychecks for employee Ryan Smith manually from 1/1/2011 to 6/30/2011. They plan to use ezPaycheck from 7/1/2011-7/15/2011 pay period. So instead of entering the old checks one by one, they can enter the YTD summary data here. You should add the YTD data first before you generate a new paycheck. So you can see the correct YTD data on paycheck stubs. Step 3: Select Ryan from Employee list and open YTD manually input screen. Then enter the summary information for 1/1/2011 to 6/30/2011. Step 4: When you generate a new check, you will see the YTD data is updated. How can payroll software handle paying by piece and paying by hour? For some companies, employees are paid by hourly rate and piece-rate at the same time. EzPaycheck payroll software is very flexible and allows user to add the customized wages as “Pay_by_piece” easily. 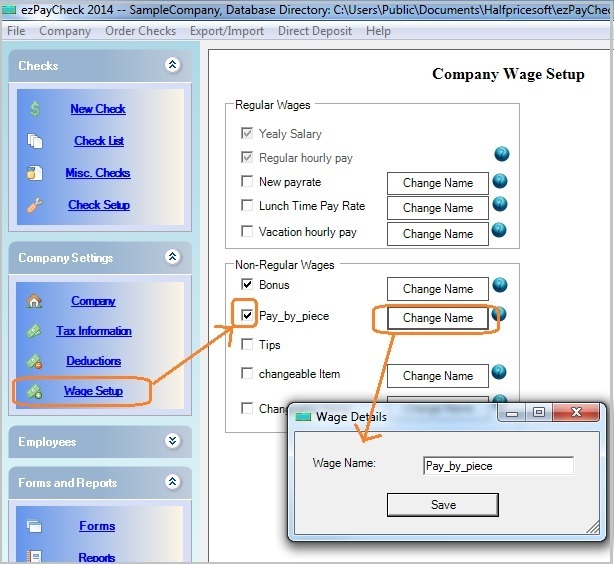 Step 2: Add the customized wages on wage setup screen. You can access this screen by clicking the left menu "Company Settings->Wage Setup". Step 3: Generate a new check. You can enter more information in MEMO field. If employee is paid by piece-rate only, you can leave the hours as “0”. EzPaycheck payroll software is designed to automate paycheck processes to reduce the time spent on running payroll. The software’s graphic interface leads users step-by-step through setting up employee information, calculating payroll—including calculation of federal, state and local taxes; deductions for Medicare, insurance and 401(k) plans; and printing paychecks. Priced at just $89 per installation, ezPaycheck’s graphical interface and functions are so intuitive that even users without much computer or accounting experience can start automating payroll processes within minutes of installation. Additionally, customers can try ezPaycheck payroll software without cost or obligation for 30 days. 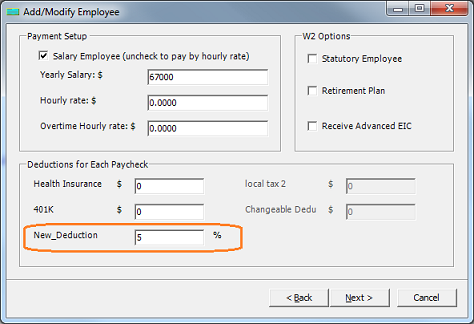 How to change the pay rate when generating a new paycheck with payroll software? For some companies, the pay rate for the same employee is not fixed. The employee may be paid at different pay rates for different pay periods. EzPaycheck payroll software is very flexible. 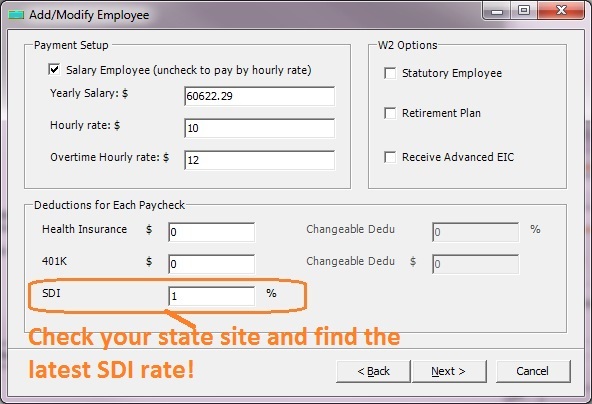 User can enter the default pay rate when he sets up the employee information. However, user can modify the rate when he generates a new check each time. Step 1: Setup employee profile and enter the default pay rate. How to change Paycheck Format? ezPaycheck payroll software can print check on blank check paper or pre-printed checks. It also supports check-on-top, check-in-middle or check-at-bottom formats. User can select this option from check setup form. Change the check position to check-on-top, check-in-middle or check-at-bottom. U.S. restaurants declined by -1 percent, or a loss of 5,551 restaurants, from a year ago based on the data from NPD Group. And the independent restaurants drove the decline, with their number of units dropping by 2 percent during the period. Only companies that use the recession as an opportunity to innovate will come out of the downturn stronger. “In tough economic times, how to increase business productivity is critical for any company, “said Dr. Ge, founder of Halfpricesoft.com. "We hope the new improved ezPaycheck payroll software can help restaurant owners spend less time understanding what tax rate they should pay and more time ensuring their business succeeds." Priced at just $89 per installation, the new in-house ezPaycheck payroll software helps restaurants grow during downturn by automating payroll processing and eliminating errors in tax calculations. Free trial is available. How to handle payroll jobs in churches and non-profits? 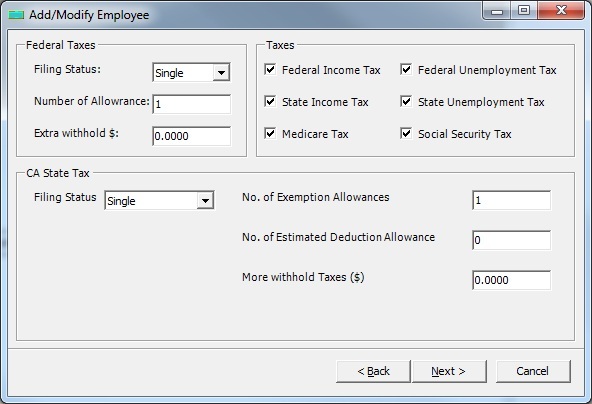 New options for setting up tax deductions customized to individual employees makes the 2011 edition of ezPaycheck payroll software ideal for non-profits and businesses with unique tax situations. Churches and other religious organizations, who don’t deduct FICA taxes for clergy members, will find these new control features particularly appealing. 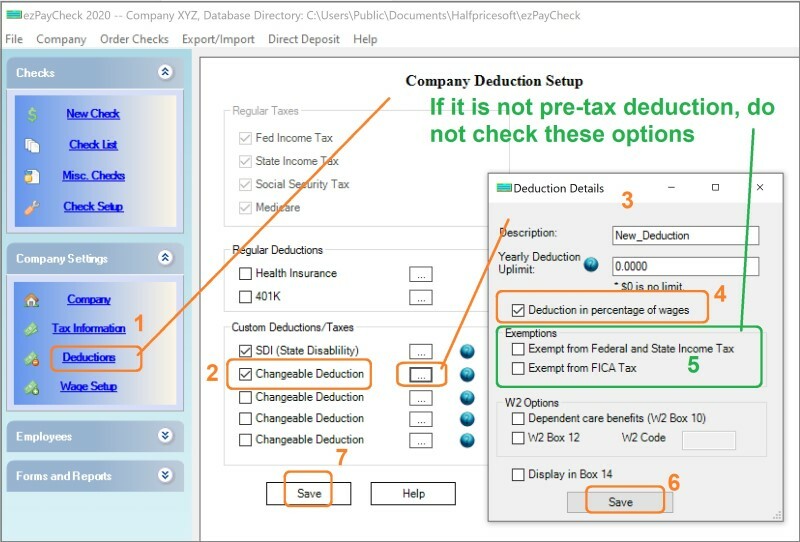 User can check/uncheck tax options easily when he sets up an employee's profile. Halfpricesoft.com recently released a new version of ezPaycheck payroll software with new features that make paying by the piece simpler and faster. Released in May, version 3.1.7 of ezPaycheck payroll software includes an expanded MEMO field, which can be combined with the custom payment field to easily notate pay-by-piece or pay-by-stops payroll calculations. Users simply rename a custom payment field to something like, “pay-by-piece” or “pay-by-stops” and enter the value of the paycheck. Details of the payment, such as “100 pieces * $5 per piece,” can be entered into the MEMO field. How to restore payroll data? The new data back-up/restore feature in ezPaycheck payroll software securely protects payroll data against loss in event of virus or hard-disk crash. Followings are the steps to restore your data from USB disk, CD or other folder. 1. 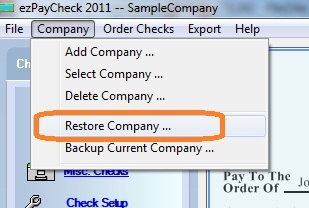 Start ezPaycheck, then click the top menu "Company->Restore company" to open the Database Restore screen. 2. 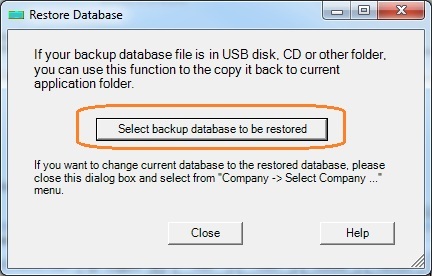 On the Database Restore screen, click Select backup database to be restored button to select your database file. 3. 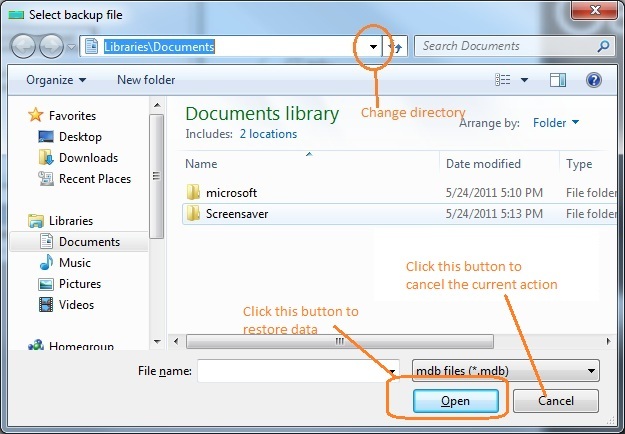 Select your file and click the open button. Then ezPaycheck will copy the backup database file to the application folder. 4. If you want to use this database file as your current database, you can click the top menu "Company->Select Company" to select this database from list and set it the current database file. <note:> This restore version feature is available with ezPaycheck 2011 version 3.1.7. If you are using an old version, you can download the lastest ezPaycheck update package. The ezPaycheck update package is free for the current users. Business owners are constantly searching for new and innovative ways to decrease their costs and increase their efficiency. If you own a small business, there are many great strategies you can implement into your plans to decrease your costs and increase your productivity, but one valuable solution in particular is certainly small business payroll software. The following article will review how this software can improve your operations today. The cost savings alone can be a very attractive benefit of using payroll software. By managing your accounts on your own rather than hiring a professional to do it for you, you can save your company thousands of dollars every single month. You can then invest the money you save into more important aspects of your company that will ultimately result in further growth and productivity in the future. Since you will be completing the employee payment tasks on your own if you choose to use software, you will also be in a position to guarantee the accuracy of the information you record. This additional benefit can help you keep track of your operations and help you make the right decisions going into the future. Security is another important benefit of using a secure computer program. Payroll information is generally of a very sensitive nature, but it is very important for companies to keep clear, accurate, and secure employee records. By utilizing an in-house program, you can avoid exposing this important information to hackers on the Internet and you can also protect the computer that houses the information to secure it even further. Many small business owners love to use specially designed computer programs to manage their employees and payments, because this type of software can help them keep their records organized and accurate. Owners who keep important employee and company records on paper files often have trouble finding the documents they need when they need them. Also, owners who keep important information about their operations in a single location are at risk of losing the valuable information due to fires and other hazards. Along with helping you keep your records organized, this type of program can also simplify all of your operations that are related to your payroll. Once you are using one of these programs, you will be able to manage employee payments in only a few short and easy steps. You can also handle all of your tax documents using a program that offers tax filing solutions. With these programs, you can automatically calculate your taxes, create reminders to file, and you can even file your taxes online. Once you start using one of these programs, you will likely find your finances to be greatly simplified overall. Basically, if you are looking for a great way to manage your payroll without spending a large amount of money, you should review the various small business payroll software products you can buy today. Once you have integrated payroll software into your operations, you will be able to better track your employees and your finances, but you will also be able to handle your entire operation with greater ease as well. Viruses, spyware and hard-drive crashes - Almost weekly, Halfpricesoft.com support team received help requests from ezPaycheck payroll software users desperate to recover payroll data lost to these villains. Though the malware and data losses were not related to the company’s popular payroll software, Halfpricesoft.com’s management team realized customers needed a new way to back up and restore their payroll data securely, safely and quickly. The new version 3.1.7 is released to speed up secure back-up and restoration of payroll data to prevent loss to viruses, spyware and computer crashes. How to add a new payroll deduction and withhold it from each paycheck automatically? ezPaycheck payroll software is very flexible. With ezPaycheck, user can easily add a new deduction for IRA plan, Garnishment, Donation, Dependent Care, Flexible Account or other purpose. 3. Input the new name My_dedution. 1. Select one employee from employee list and edited his deduction option. 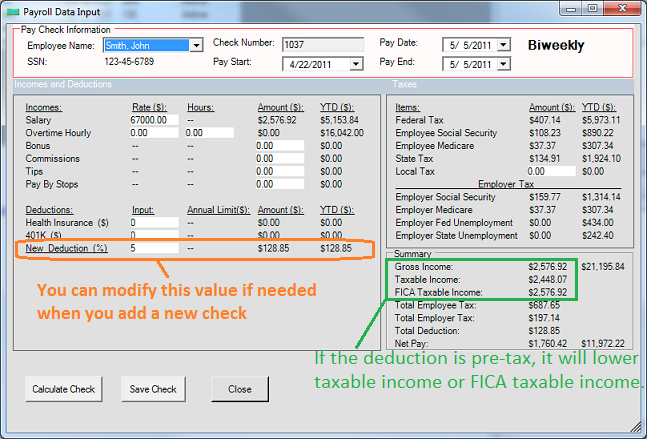 When you generate the new check, you will see this new deduction on paycheck. Hoping to keep ezPaycheck small business payroll software affordable for every size company in the continuing recession, managers at Halfpricesoft.com have decided to reject a proposed price hike for ezPaycheck. ezPaycheck 2012 will be the 7th year in a row without a price increase for the popular software. Available for just $89 per installation, ezPaycheck has remained at that affordable price since its initial release in 2005. Equipped with an intuitive graphical user interface, the payroll software is designed to be easy to use even for people without an accounting background or with little computer experience. Very little setup or learning curve is necessary, and most users can begin running payroll within minutes of installing ezPaycheck. Payroll is one of the most important tasks about running a business. After all, employees want to get the paychecks on time. However calculating payroll taxes can be very time-consuming. Designed with non-accountant business owners and managers in mind, Halfpricesoft has released the new edition of ezPaycheck 2011, which automates payroll tasks for small businesses. "No two small businesses or non-profits are exactly the same. They all have different needs and requirements,” Dr. Ge said. “Updates in the 2011 edition of ezPaycheck include several features commonly requested by customers who like the software but need additional flexibility." The new features of ezPaycheck 2011 payroll application include Customizable Payroll Reporting Feature, Auto-fill Paycheck Data Feature, Customizable Tax and Deduction Features, Employee List Export Feature, Income tax rate updates and Tax form updates, which make the 2011 edition more powerful and flexible than ever. This affordable payroll software is suitable for any small- to mid-sized business or non-profits, because of the big benefits. - User friendly interface design and Windows menus make ezPaycheck payroll software quick and easy to set up, use and understand. - Works within ezPaycheck payroll accounting software, so there's nothing new to learn and no double entry. - ezPaycheck payroll software help user save money by printing your checks on blank computer checks. - Support Tax Forms W2, W3, 940 and 941. - Accommodates any combination of incomes, deductions, taxes and benefits. Also accommodates multiple companies, each with unique setup information. - Supports customized Wages or Deductions to handle commissions, tips in restaurants or the special local taxes. - Instead of paying $200 a month to some payroll company, user can only spend $89 a year for all payroll needs. - Download and try this payroll software free for 30 days. No registration needed. No obligation. To make sampling ezPaycheck 2011 even easier, the free download includes a sample database. Customers do not have to waste time entering employee data before sampling the software’s many features. ezPaycheck payroll software is loaded with intelligent, intuitive features, but not burdened by complicated suites of expensive applications small businesses will never use or need. The software is ideal for owners of small to mid-sized businesses, and was designed and engineered for ease-of-use by those who have only basic computer skills and little accounting know-how. Developed by Halfpricesoft.com and available for as little as $89 per installation, ezPaycheck 2011 is a payroll processing software designed especially for small businesses and non-profit organizations. As with all small business software titles from Halfpricesoft.com, ezPaycheck is known for its ease of use, flexibility and affordability. The software is available online at http://www.halfpricesoft.com/index.asp. - Updated income tax tables with 2011 rates for all 50 states, Washington D.C., and federal taxes. - Custom payroll reports feature allowing users to program specific report dates. Previously available quarterly and annual report options are still available in the 2011 edition. - Increased exporting options make ezPaycheck 2011 data and reports easier to use with other software, such as Halfpricesoft.com’s ezW2 software for printing W2 and 1099 forms. - New auto-fill feature remembers certain information from previous payroll periods, such as pay period dates and check printing dates, and automatically supplies updated information on checks for the current payroll period. Employers save time and hassle. Long-time users of ezPaycheck can still count on all the popular features of previous editions, such as the easy-to-use intuitive interface, flexible printing options for multiple check formats, Form 940 and Form 941 printing, and flexible check report options. 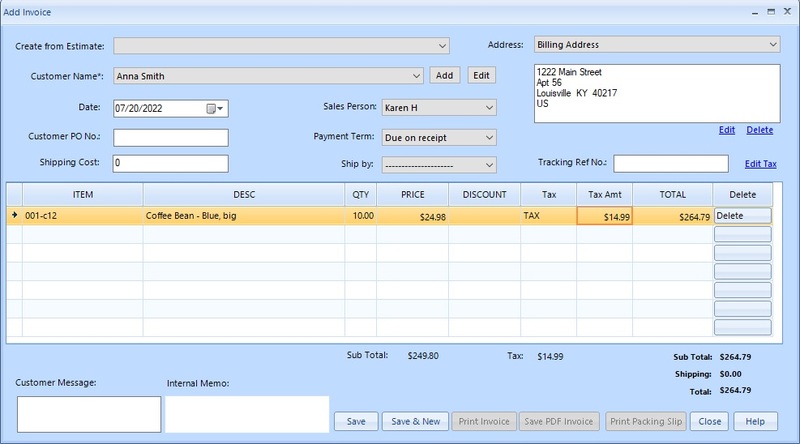 To ensure that ezPaycheck 2011 meets each customer’s needs before purchasing, Halfpricesoft.com has made the software available for a free 30-day trial. Customers can simply go to http://www.halfpricesoft.com/payroll_software_download.asp and download the software without charge or obligation. To make test-driving ezPaycheck 2011 even easier, the software download includes a sample database, so customers don’t have to waste time entering data before sampling the software’s many features. All the features of the ezPaycheck 2011 full version, except check printing, can be used for up to 30 days without charge. To unlock full, unlimited use of ezPaycheck 2011, license keys can be purchased online for as little as $89 per installation. The Tax Relief Act was signed into law by President Obama on December 17, 2010. Followings Q&A will help you better understand the payroll tax cut. Q: What are the changes caused by recent Tax Relief Act? A: For Year 2011, the employee tax rate for social security is reduced to 4.2%. The employer tax rate for social security remains unchanged at 6.2%. Q: Are all employers affected by this payroll tax cut? A: Yes, all employers are impacted by this change from Jan 1, 2011. Both for-profit companies and nonprofit companies need to adjust their payroll processing for the Social Security tax rate. Q: What should employers do? A: IRS asked Employers should start using the new withholding tables and reducing the amount of Social Security tax withheld as soon as possible in 2011 but not later than Jan. 31, 2011. Q: What impact will this have on employees? A: Millions of workers will see their take-home pay rise during. This reduced Social Security withholding will have no effect on the employee’s future Social Security benefits. Q: Has Year 2011 Federal Tax Rate Changed? A: Employer can find it at http://www.halfpricesoft.com/Federal_income_tax_2011.asp. Q: Will all employee see the bigger checks in Year 2011? Halfpricesoft.com released the new version of ezPaycheck payroll software which includes the latest new tax tables released by the Internal Revenue Service. These tax tables incorporate the changes introduced by the Tax Relief Act, which was signed into law by President Obama on December 17, 2010. The Tax Relief Act was signed into law by President Obama on December 17, 2010. Millions of workers will see their take-home pay rise during 2011 because the Tax Relief, Unemployment Insurance Reauthorization, and Job Creation Act of 2010 provides a two percentage point payroll tax cut for employees, reducing their Social Security tax withholding rate from 6.2 percent to 4.2 percent of wages paid. This reduced Social Security withholding will have no effect on the employee’s future Social Security benefits. The new law also maintains the income-tax rates that have been in effect in recent years. For Year 2011, the employee tax rate for social security is reduced to 4.2%. The employer tax rate for social security remains unchanged at 6.2%. The IRS asks that employers start using the new social security rate as soon as possible in Year 2011 but not later than January 31, 2011. Newly released 2011 edition of ezPaycheck payroll software from Halfpricesoft.com gives small and mid-size businesses more options and flexibility in doing payroll and printing checks than ever before. "We intentionally engineered this software for those end-users who are not professional accountants and payroll tax experts," explains Dr. Mark Ge, President and Founder of ezPaycheck. "You don't even need to have much knowledge of computers. We believe small business software should be simple - stupid simple - so that owners can focus their time and energy on running their businesses, not trying to figure out how to run payroll software." User can download this payroll software from http://www.halfpricesoft.com/payroll_software_download.asp and try it free for 30 days. No registration needed, no obligation and totally risk free. The ezPaycheck payroll tax software can be used to report employee wages and salaries to federal, state, and local agencies, with a duplicate copy for the employee. And the double-window check envelopes eliminate the need to hand-write or re-print addresses, saving time and money. Even those who are not good at math can add "two plus two" and figure out that by offering software that is both inexpensive and "stupid simple" to use, the ezPaycheck company has created a revolutionary new product. And it is available just in time for payroll tax season, which may be the best gift small business owners can wish for at the end of a long and challenging and hopefully successful and profitable sales year. Please visit http://www.halfpricesoft.com/index.asp for more details. We released ezPaycheck payroll software version 3.0.8 today. User has one more option on check setup. They can select to display the whole SSN number or to mask partial of it.